Yella Beezy, the voice behind one of the year's hottest tracks in "That's On Me," has been reportedly hospitalized after a shooting that took place in Lewisville, Texas in the early hours of Sunday (October 14th). 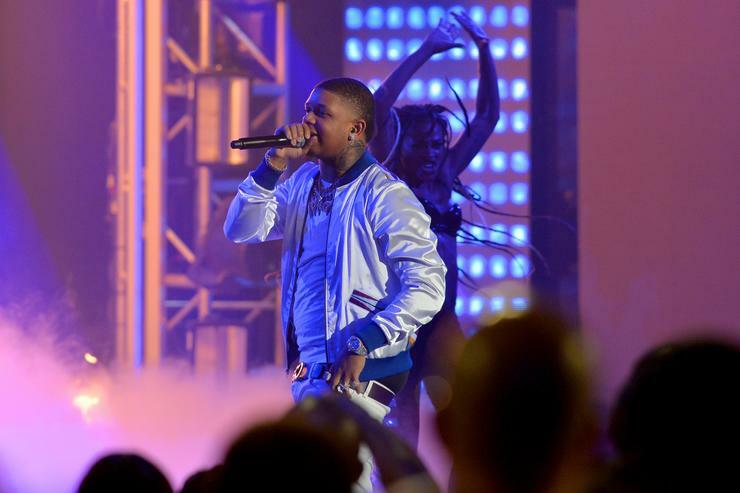 According to Dallas-based publication Central Track, the 26-year old rapper has been confirmed as the victim of a drive-by shooting that was first reported by local CBS affiliates and the Dallas Morning News. Police say the victim was shot at more than a dozen times while he was driving on the Sam Rayburn Tollway. According to authorities, another car pulled up alongside his car and a passenger began to fire inside the vehicle. He was found wounded along State Highway 121 around 3:30 a.m.
We can now confirm that rapper Yella Beezy -- whose "That's On Me" single has become one of the biggest songs of the year and one of the biggest rap hits ever out of Dallas -- was hospitalized after being shot last night. The victim has been identified as Deandre Conway while Yella Beezy's birth name is not known to the general public at the time, leaving us without any concrete confirmation. All the while, fans have already begun to speculate that this shooting is in connection to the shooting death of comedian Roylee Pate, with whom Beezy had a beef with. Two weeks ago Pate was shot in the foot, which in turn led to a blood clot in his lung. He died from the complications on Saturday (October 14th) killing him. While Beezy has not been officially implicated in Pate's death, one Twitter user claims to have overheard a conversation about retaliation against Beezy for the shooting. Most recently, Beezy celebrated the birth of his newborn, affectionately referred to as Baby Yella all while enjoying a Gold-certified record in "That's On Me." This story is still developing. Chris Brown & 2 Chainz Join Tory Lanez On "DucK my Ex"
comfirmmusic 2018. | All Rights Reserved.